MemoText provides a quick method storing long length text in ordinary text fields of an ordinary dBASE table. This avoids the use of Memo (binary) fields which have a historical reputation for being less than 100% reliable with reported problems of data corruption and bloat. While this may no longer be true of recent versions of dBASE and the BDE, the avoidance of this risk is perhaps safer. 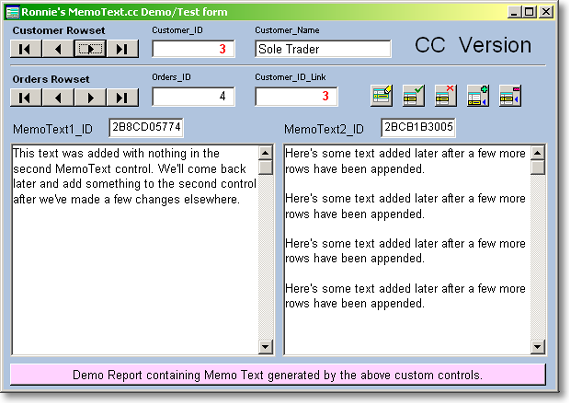 The MemoText package ships with a number of versions of the control providing flexibility of implementation, and there is a sample demonstration form supplied. To learn more about MemoText, read the following article.